Sweet Briar riders take a group shot after the awards ceremony. 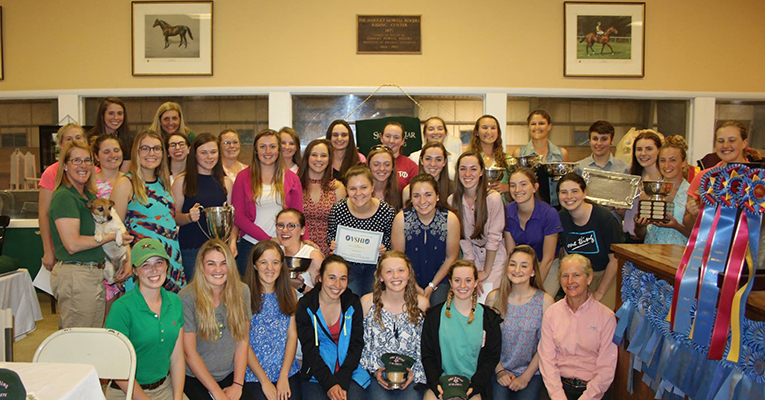 Before students departed for summer break, the Sweet Briar College riding program held its annual awards ceremony. Along with recognizing the ODAC, IHSA and ANRC teams, six special awards were presented to various riders. The Fayette-Brown Challenge Trophy went to senior Olivia Fabian Slocum. The trophy is awarded to a rider at the Annual Show who has demonstrated the best horsemanship and sportsmanship throughout the show. Fellow senior Grace Culley received the Owings Loving Cup. Donated by the Owings family in memory of their mother, Grace Sunderland Owings ’28, the award is presented each year to an upperclasswoman who has shown interest in and dedication to schooling. Hannah Beall, also a senior, won the Lendon Gray Equitation Trophy, which was donated by Lendon F. Gray ’71, a faculty member of the riding program from 1971 to 1975 and an Olympian in dressage. The award is given to a rider who competes at the fun show level and demonstrates outstanding improvement and equitation. First-year Jade Ashley won the ’52 Cup as the first-year who showed the greatest improvement, interest and sportsmanship in riding. Junior Makayla Benjamin was presented with the Blackwell Challenge Trophy, named in honor of Wilmer Blackwell, who brought the first horses to Sweet Briar. The award is given to an upperclasswoman who has made a significant contribution to the riding program through demonstrated leadership. 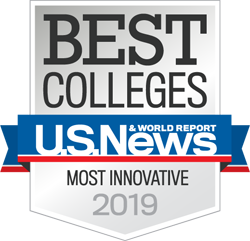 Below is a list of other awards and honors presented during the ceremony.